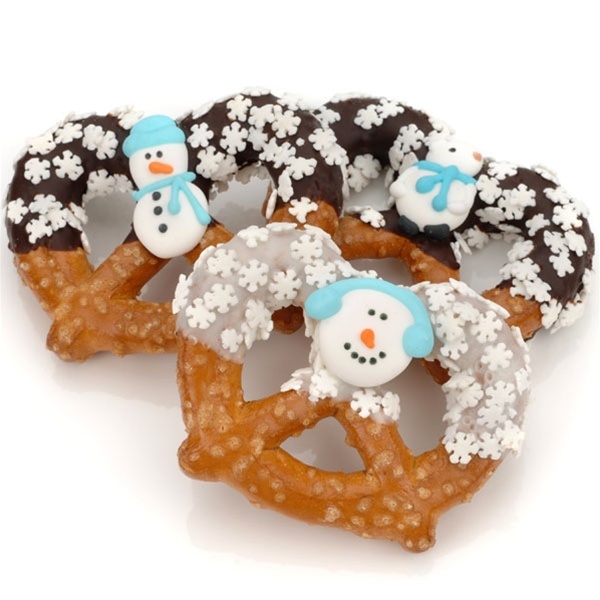 Our crisp, Bavarian Pretzels are expertly hand-dipped in your choice of Belgian Chocolates -Dark, Milk or White- or Caramel, and adorned with edible hand-crafted Royal Icing Winter Holiday Decorations and Holiday Sprinkles. It's a perfect gift for anyone with a weakness for crunchy, sweet treats. Each scrumptious Pretzel Twist is individually wrapped in a cellophane bag and heat-sealed at both ends for freshness. We Gift Box your Pretzel Twists order in our signature glossy white gift box and tied with matching satin bow stretch loop ribbon. It's a delightful gift for the Holidays!